John B. McElroy, M.D., F.A.C.S. Paul W. Musselman, M.D., F.A.C.S. Richard G. Nord, M.D., F.A.C.S. James R. Stille, M.D., F.A.C.S. The Physicians of Advanced Urology, Inc.
(1974-1980) B.A. in Biology, University of Missouri - Kansas City School of Arts and Sciences. 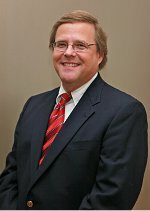 Dr. McElroy received his medical degree in 1980 from the University of Missouri-Kansas City School of Medicine. He completed his urology training and a fellowship in renal transplantation and renovascular surgery at the Cleveland Clinic Foundation in Cleveland, Ohio. He served in the U.S. Air Force at Wilford Hall U.S.A.F. Medical Center, Lackland A.F.B., Texas prior to moving to Youngstown where he has practiced since 1989. He was a staff member of the department of urology at the Cleveland Clinic Foundation and served as the director of the Northeast Ohio Transplant Center in Youngstown. Dr. McElroy serves as clinical assistant professor of urology at Northeast Ohio Medical University and clinical assistant professor of surgery, Uniformed Services, University of the Health Sciences, Department of Surgery, F. Herbert School of Medicine, Bethesda, Maryland. 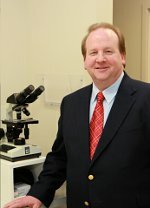 He is certified by the American Board of Urology, is a Fellow of the American College of Surgeons, and has held memberships in many professional organizations including the American Urological Association, Ohio State Medical Association, Mahoning County Medical Society, Society of Air Force Clinical Surgeons, and the National Eagle Scout Association. He has authored and co-authored numerous publications for professional journals. Northeastern Ohio Universities College of Medicine, M.D. Dr. Musselman received his medical degree from Northeastern Ohio Universities College of Medicine and his urology training at the Cleveland Clinic Foundation. He holds the rank of clinical assistant professor in urology, Northeast Ohio Medical University and was in private practice in Columbus for nine years before returning home to Youngstown to join Advanced Urology in 1996. He is a Diplomate of the American Board of Urology and received his re-certification in 1999. His current memberships include the American Urological Association, American College of Surgeons, Ohio State Medical Association, and the Mahoning County Medical Society. He is a frequent presenter at professional meetings and has authored and co-authored publications for numerous professional journals. 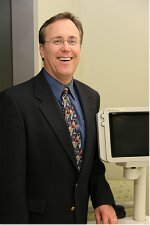 Dr. Nord received his medical degree from the Pennsylvania State University College of Medicine in Hershey, Pennsylvania. His internship and general surgery residency were completed at Mercy Hospital in Pittsburgh and his urology residency at Thomas Jefferson University in Philadelphia. Dr. Nord serves as an assistant clinical professor in urology at Northeast Ohio Medical University. He is certified by the American Board of Urology and is a Fellow of the American College of Surgeons. He has contributed to numerous professional publications and is an active member of the American Urological Association, Ohio State Medical Association, and the Mahoning County Medical Society. James R. Stille M.D., F.A.C.S. (1984-1988) Walsh College, North Canton, Ohio B.S. 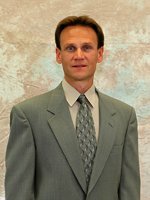 Dr. Stille graduated with honors from the Medical College of Ohio, Toledo and completed his general surgery and urology training through Northeastern Ohio Universities College of Medicine at Akron City Hospital, Akron Medical Center, and Children's Hospital Medical Center of Akron. He is certified by the American Board of Urology, and is a Fellow of the American College of Surgeons. He is also a member of the clinical faculty at Northeast Ohio Medical University. He has held memberships in the American Urology Association, Ohio State Medical Association, and the Mahoning County Medical Society. He has received numerous academic awards and participated in research projects in the field of urology. Legal Notice | General Website Disclaimer | Website errors? Contact the Healthcommunities.com webmaster. © 1998–2019 Healthcommunities.com, Inc. All rights reserved.